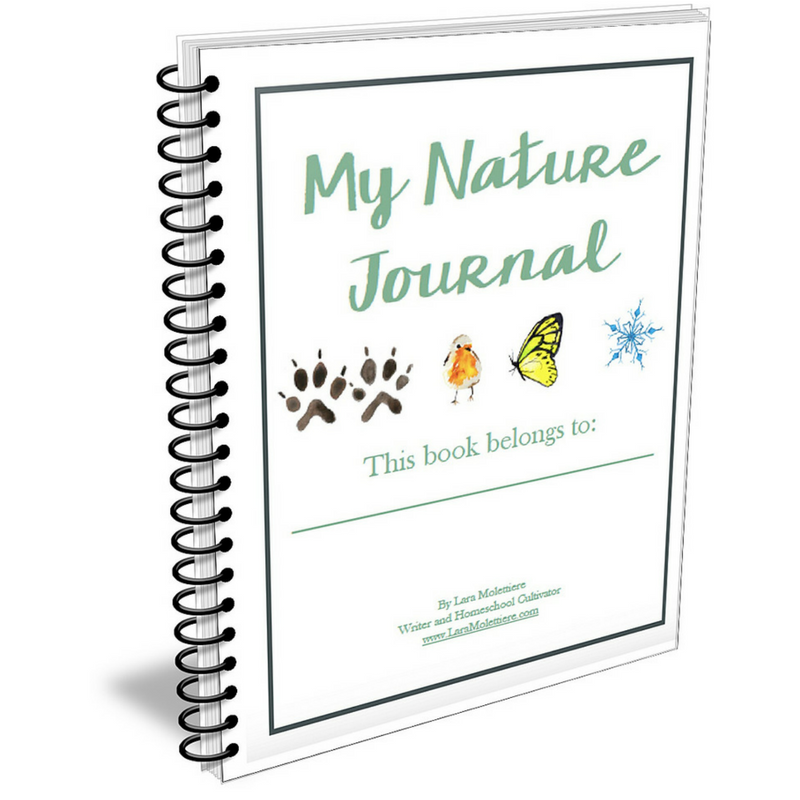 Nevertheless, one of my goals for this coming year is to organize all of our holiday learning into one spot. I’m hoping to make a few Saint Patrick’s Day crafts this year, because I have to admit there’s some fun ones, but so far I’ve got TWO, yes two. I love Saint Patrick’s Day books because they’re usually full of magic and fairies. 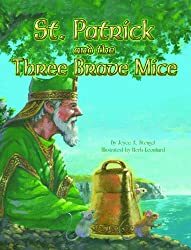 St. Patrick and the Three Brave Mice– I like this one as a folk tale about Saint Patrick and it worked very well with the craft we did with our study of Ireland a few years ago. 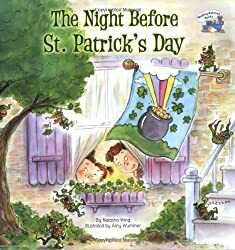 The Night Before St. Patrick’s Day– I find amusing the vast number of takes off “The Night Before Christmas,” and this falls into that category. 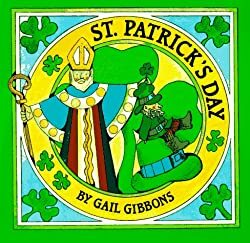 St. Patrick’s Day by Gail Gibbons– Because you can never go wrong with a Gail Gibbons nonfiction book. I love her books. 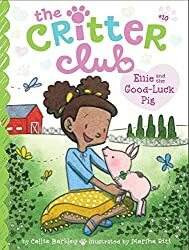 Ellie and the Good-Luck Pig (The Critter Club)– Princess swears by these books and has read as many of them as I will buy. I’ve not read them personally, but she is finagling for as many as she can get. 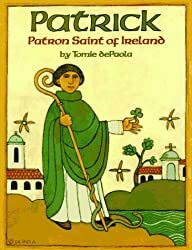 Patrick: Patron Saint of Ireland by Tomie dePaola– I love Tomie dePaola, he just does such a great job with his books. 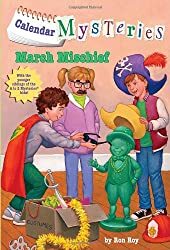 Calendar Mysteries #3: March Mischief– Superman loves all of the Calendar Mysteries and I think has all of them, if not he has almost all of them. They’re ridiculously easy for him to read now, but they’re comfort reading to him. 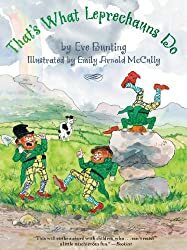 I didn’t know Tomie dePaola had a St. Patrick’s Day book. I always think I’m not going to like his books (not sure why, the illustrations maybe), and then I love them. He’s on my list of author/illustrators that I’m always willing to give his book a chance because he’s had such a good track record in our house. I want to retry our leprechaun traps now that the kids are over, beyond that it’s reading a few of our books. Thanks! I’m always looking out for good holiday books because so many of them are just fluff. What great inspiration! Would you believe Gary is Irish and we do nothing? It’s not good I tell you! To be honest we don’t do much all that often. I love your peg doll! Leprechauns are very fun creatures. He is my absolute favorite peg doll I’ve made. The peg doll is beautiful! I haven’t even raised a topic of St Patrick’s Day yet – we had enough on our plate as is, with a science fair during that week. That’s more than enough to deal with.